Optical Surfaces has received an order from the UK Atomic Weapons Establishment (AWE) for 12 ultra-fast focusing 370mm diameter aspheric lenses for its Orion petawatt laser research facility. The order is a repeat order for the key focusing elements supplied by Optical Surfaces to AWE in 2008. 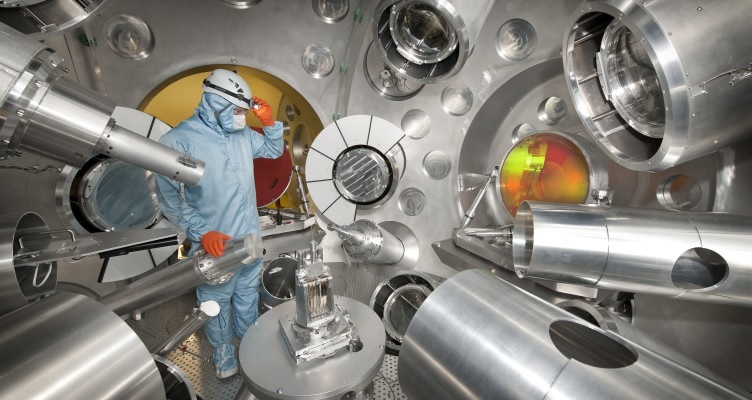 Replacement of the original lenses is required as coatings and lens material gets damaged over time due to very high energy density of the Orion laser. Dr Aris Kouris at Optical Surfaces commented “We are very pleased to again be selected by AWE to supply the replacement fast focusing aspheric lenses that lie at the heart of their Orion petawatt laser facility.” He added “The greatest challenge in producing these ultra-smooth optics relates mostly with the high asphericity of the lenses, arising from the short focal length required. The short focal length not only enables AWE to use a relatively compact vacuum chamber for its experiments but also to achieve a very high energy density at the point of focus. This high asphericity also imposes an additional difficulty in controlling the demanding requirements associated with the lens wavefront gradients specification."